The past few days, instead of the usual labors in the EP lab, I spent 48 hours as a parent chaperone on an out-of-town middle school field trip. The schedule was frantic, befitting a 13 year old much more so than a 46 year old. But that’s another story. Suffice it to say, that AF ablations, defibrillator implants and even cyclocross races pale in comparison to the rigors of the middle school field trip. The WSJ health blog reported this week that Americans are “progressing” in their health goals. 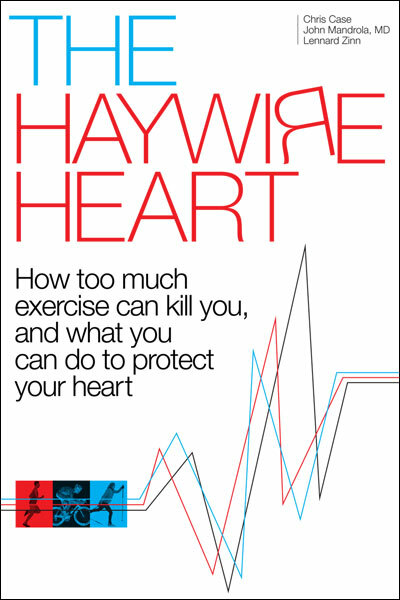 Heart disease fared fairly well. That’s a given; we can treat existing disease increasingly well. The achilles heel, the kryptonite, of American health though, is the obesity quagmire. I am no reporter, but observations from two of the attractions on our adventure to St Louis illustrate the story well. 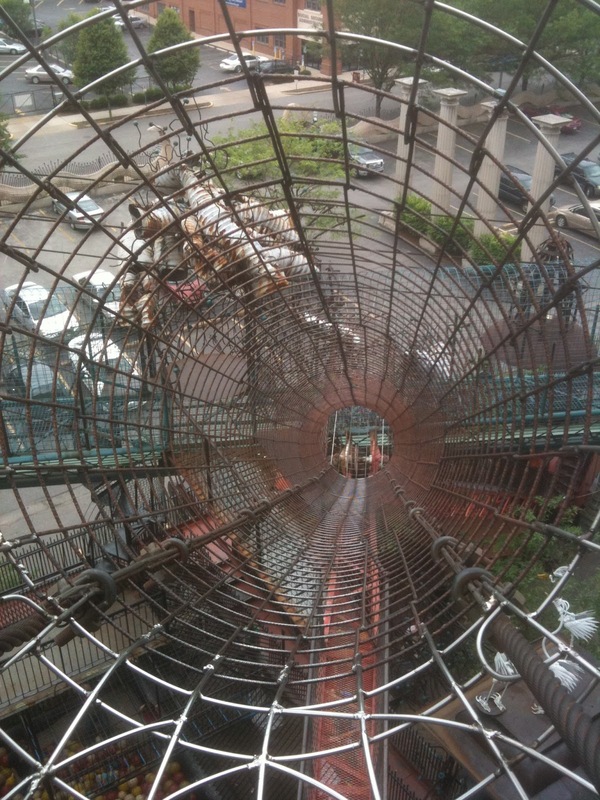 Take the St Louis City Museum as exhibit A. 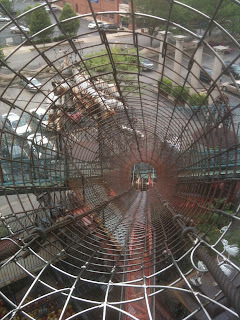 The City Museum, recently featured in the WSJ because of its patrons’ frequent orthopedic injuries and resultant lawsuits, is an 11 story labyrinthine-like indoor playground. My bike racer persona looked forward to visiting a playground worthy of lawsuits. Think of the largest jungle-gym you have ever seen and then multiply it ten fold–the Yankee Stadium of playgrounds. The nature of slides and playgrounds imply gravity. 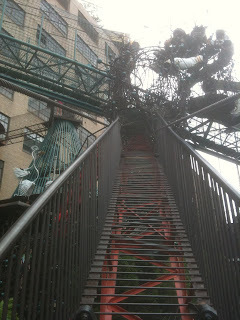 As such, the City Museum was nearly devoid of the obese. From the lobby on the first floor, all tubes or stairs led skyward, and the gravity challenge discriminated against the obese, in a painfully obvious and completely unapologetic way. A lack of air conditioning adds heat and humidity to the challenge. 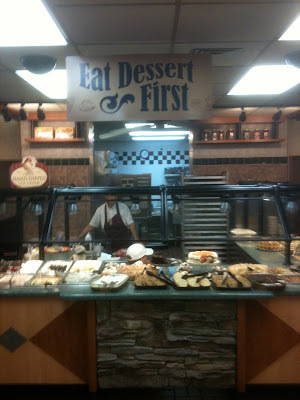 Exhibit B is Ryan’s buffet, somewhere deep in Southern Illinois, in the core of America. The all you can eat buffet–for less than 12 dollars a person–draws a crowd as uniform as the City Museum. 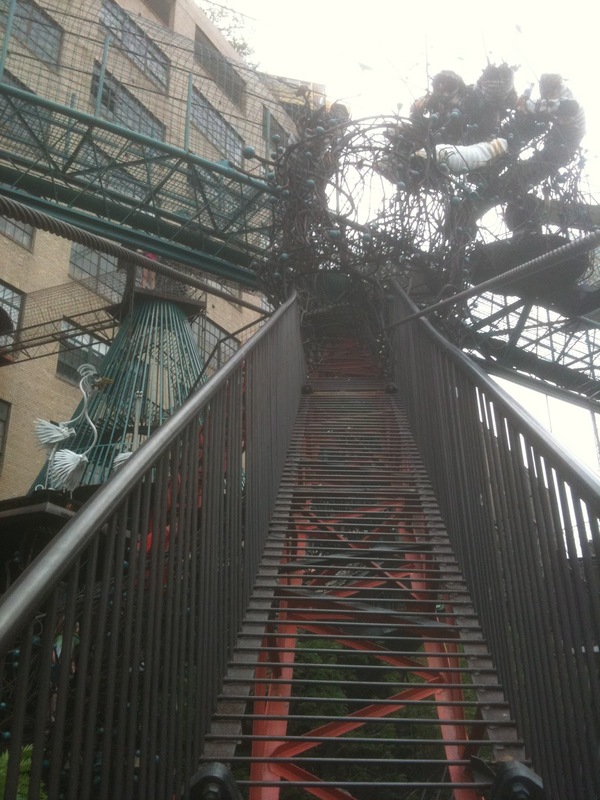 As the City Museum was absent the obese, Ryan’s buffet was absent the fit. Really, I looked around with my EP-like observation skills turned to full gas, and of the hundred or so customers, I saw two or three thin people. I blinked and looked again, like the “update review” button in the EP lab, and it was true, there were only people of size. After paying the nominal fee and gaining entrance to the stadium, you see the main stage, the food troughs. Not off to side, but smack dab on center stage is the dessert display. It draws you in. I circled it a number of times, studying, walking away, then going back. Like a zoo exhibit, you stand there momentarily mesmerized, by the enormity of the high fructose corn syrup, saturated dairy fat and artificial colors. Yes, it seems eating oneself to death is possible. Obesity. 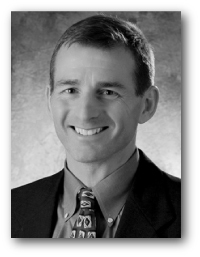 Everyone is on it: doctors, government, the mainstream media, and of-course, the blogosphere. But yet, the magnetism of the dessert bar that can draw even a bike racer and heart doctor to pull the lever for endless soft-serve is emblematic of the problem at hand. We can squish blockages, implant life-saving devices and even burn short circuits in the beating heart, but blocking the powerful pull of the dessert bar will prove a long climb. How warm did your posterior get when sliding down that tube? Was there anything to mitigate friction on the way down? The museum does look like fun. I wore these technical wear Patagonia shorts, which provided an incredibly fast ride–too fast at times. 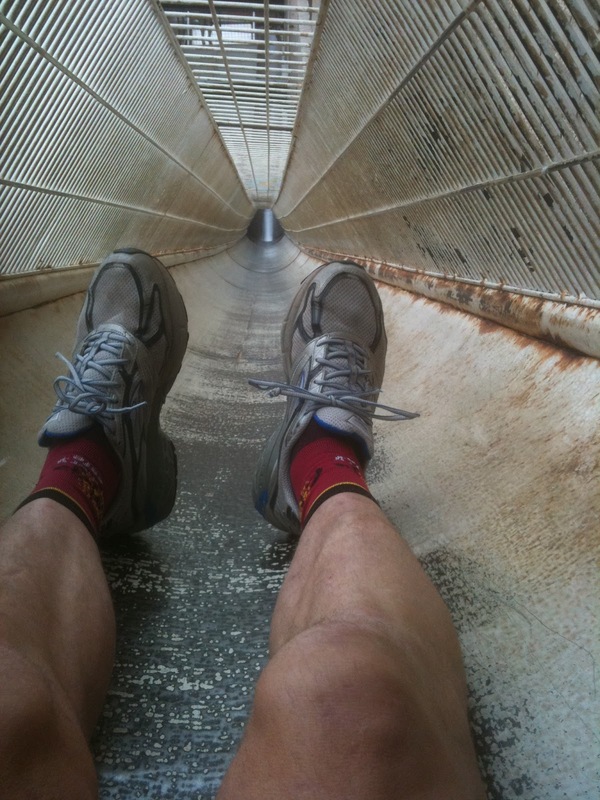 Sneakers touching the slide, provided the governor. Let up on your feet, the speed increased. I didn't post the seven story circular slide, because it was dark, and the photo didn't come out. One time was all on that bad boy. Fun indeed, funner for the youthful though.